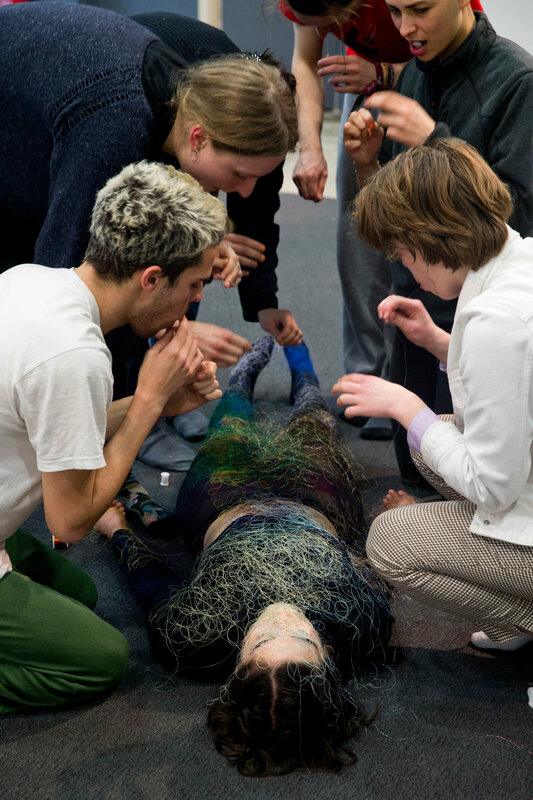 A 2-day workshop exploring the work of Lygia Clark through experiential exercises and collective group re-creations. 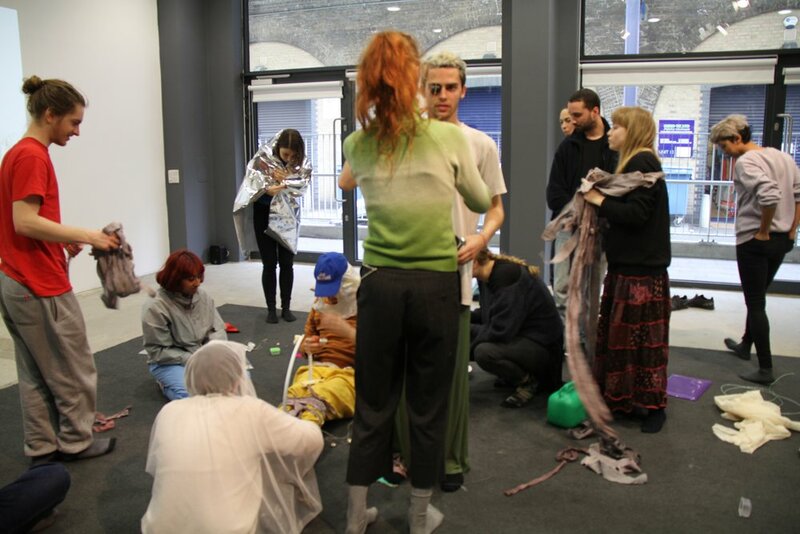 Co-facilitated with Michelle Williams Gamaker, with BA students from Goldsmiths, University of London. 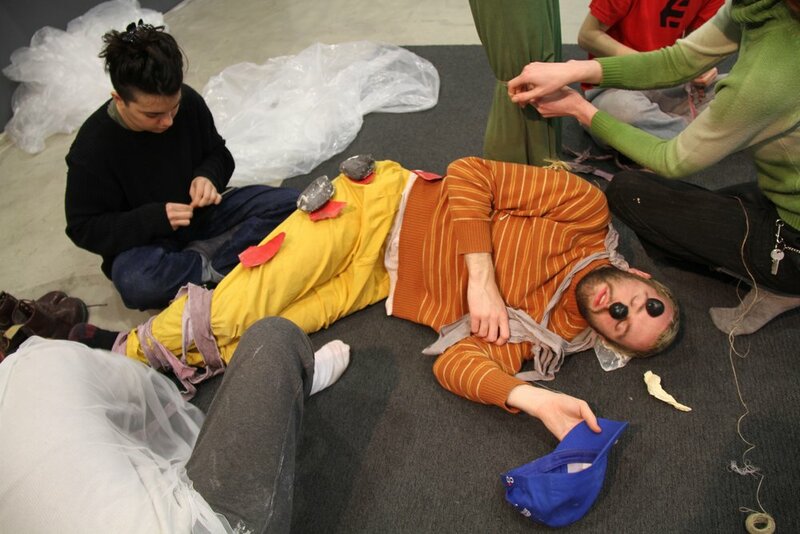 Re-creation of Baba Antropofágica (1973), Lygia Clark.